Serano Bakery is the quintessential Greek bakery; family-run, bred from authentic recipes, and filled with lots--and I mean lots--of food. No dainty little lone pastries here. The first thing I noticed after entering Serano was the sheer volume of baked goods in the space. Piles of biscotti, trays upon trays of baklava and bread everywhere. It's as if the space was saying, "Here, eat!" On Pape at Browning Ave., Serano has been a fixture in Greektown for 17 years. 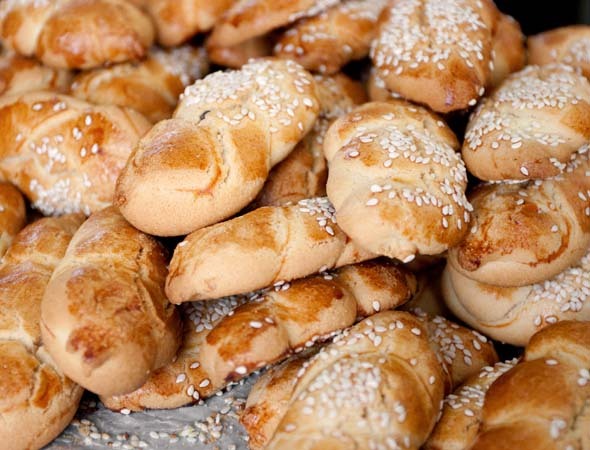 It was started by brothers Christos and Kostas Takas, who learned to bake as children back in Greece. 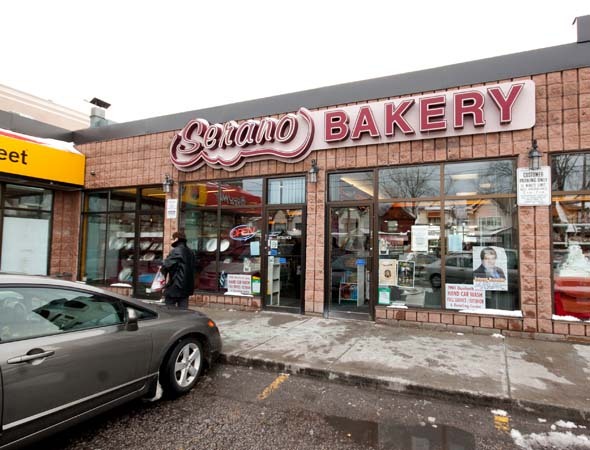 When they opened their own bakery here in Toronto, Christos' wife Sophie tells me, they decided to name it "Serano," after the first bakery they worked at in Greece. "All the recipes come from Greece," Sophie tells me, and then breaks away to greet a customer in Greek. "It's all authentic, and all made here," she continues. 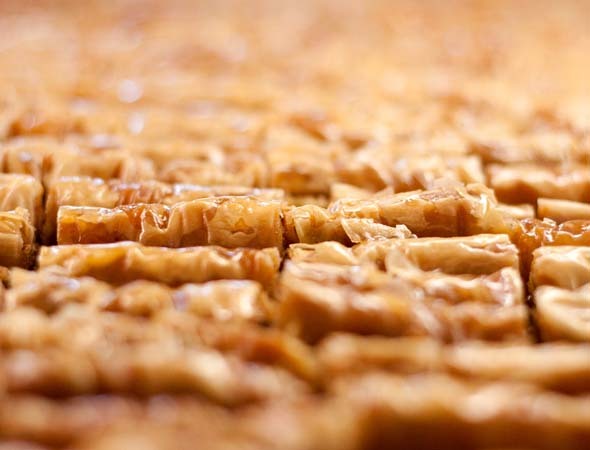 The bakery's baklava, which is known as some of the best in Toronto , draws big crowds, especially on weekends. After trying a piece ($1.60), I can see why. 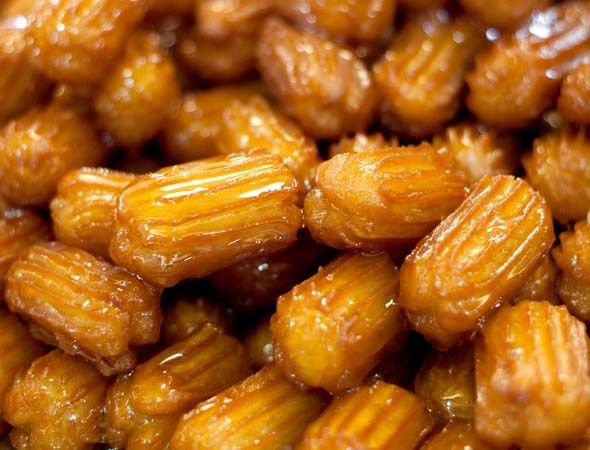 It's sweet and nutty with a mixed texture and homemade taste. 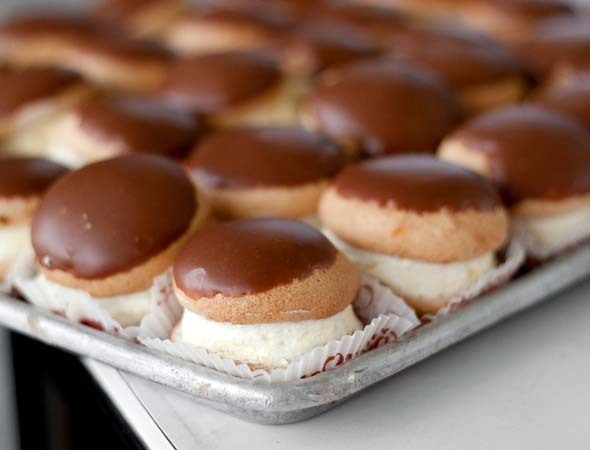 Other big sellers are Serano's spinach pies ($1.75) and kok ($0.75 or $1.60, depending on size), which is a Greek cream puff pastry, usually with a chocolate glaze. Then there are an assortment of cookies, breads, rolls, cakes and other treats. The bakery, which is in a little plaza beside a Pizza Hut, is actually split in two, half of which is filled with Greek grocery items. There's a deli counter with lots of cheeses (feta is a big seller) and shelves of items I've never seen before including Koutantos honey ($25.99) and Loumidis coffee ($8.99). "Of course, we import those items directly," Sophie says. 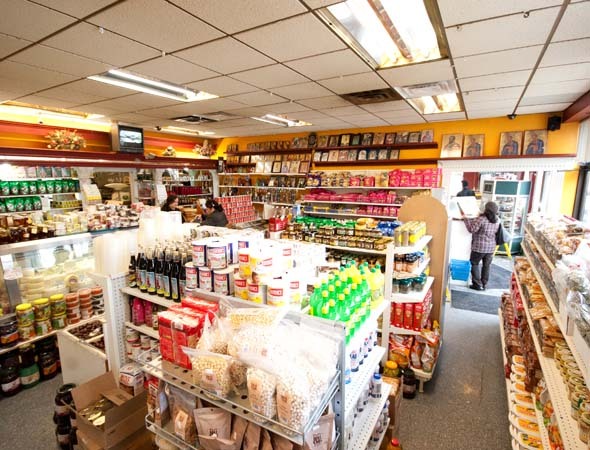 "Actually, we get a number of people who come here to grocery shop." I suppose with all the items available in Serano's bakery, they don't do it on an empty stomach.